Criminal use of guns affect millions of Americans each year. Gun violence imposes a heavy burden on our standard of living, not only on groups that have the highest victimization rates, but also on the community at large. Although the overall rate of gun violence has decreased the rate of teens committing and being victimized by the violence has increased. According to popcenter.org between 1984 and 1994, juvenile (younger than 18) homicides committed with handguns increased by 418 percent, and juvenile homicides committed with other guns increased by 125 percent. These numbers are very frightening teens are senselessly losing there lives year in and year due to gun violence. Minority groups as of the 1990s in urban neighborhoods seem to be affected the most by this trend. The biggest question is why are these crimes happening. There is no real answer for why this is but some factors may include previous activities , actively engaged in gangs, and geographic and temporal distribution. Many youth offenders of gun violence tend to have a previous record. Youth gun violence is concentrated among serious offenders well known to police and other criminal justice agencies. The offenders tend to have been involved in wide variety of crimes, including armed violent offenses, disorder offenses, and drug offenses. 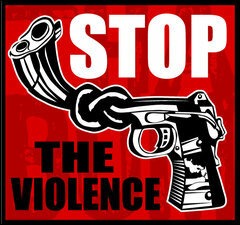 The offenders of Gun violence also tend to be affiliated with gangs but not necessarily in one. Access to the gangs lead to higher availability of guns and because of geographic placement often times these factors are hard to avoid for young teens. How can we change this? More community involvement from people in the community could be a means for steering teens away from violence. Giving teens something to be involved with aside from extracurricular offered in schools can greatly decrease violence among teens. Studies show that when organizations like “boys and girl club” are in an area the concentration of violent crimes among teens is decreased.